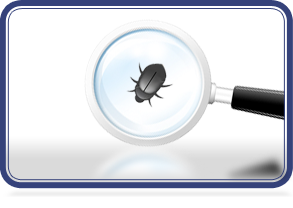 We know what’s bugging you and how to fix it – guaranteed. Whether you live in Greater Louisville, Southern Indiana or surrounding counties, our 99.9% Same Day Service Guarantee means it won’t be long before we send those pests packing. Something is bugging me, what is it? In this part of the country it could be hard to tell, but never fear. Not only does Bright Pest Control employ the area’s FIRST ASSOCIATED CERTIFIED ENTOMOLOGIST, he’s developed this nifty online Pest Identifier to literally help you identify what’s bugging you. Another first from the ONLY pest control service with a 99.9% Same Day Service Guarantee. In this part of the country it could be hard to tell, but never fear. 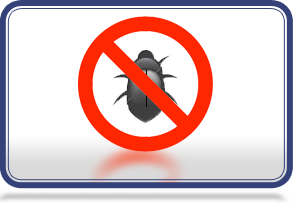 Not only does Bright Pest Control employ the area’s ONLY certified entomologist, he’s developed this nifty online Pest Identifier to literally help you identify what’s bugging you. Another first from the ONLY pest control service with a 99.9% Same Day Service Guarantee. Jimmy did termite inspection yesterday. He was a "fine young man". He did a real good job. Thank you so much. Brian exhibited impressive technical knowledge, did an excellent job, represented the company professionally. Just wanted to thank you for a great job! Greg is the best of the best! Jeff did an outstanding job and was very considerate of our cats! !